David Justice was born April 14, 1966 in Cincinnati, Ohio. 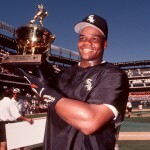 He played outfield for several Major League Baseball teams, including the Atlanta Braves from 1989 to 1996, the Cleveland Indians 1997-2000, the New York Yankees 2000-01, and the Oakland Athletics in 2002. Throughout his career Justice used his big bat to win over the fans in Atlanta, Cleveland and then New York. In spite of his injuries, Justice was a winner, making a trip to the playoffs every year between 1991 and 2000, excluding 1996 and the strike year of 1994, and earning two championship rings, one with the Braves in 1995 and another with the Yankees in 2000. When Justice made a 1995 appearance on The Young and the Restless. some people thought that he wasn’t paying enough attention to baseball. 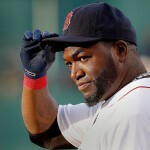 Other fans and members of the media doubted his willingness to play hurt, especially in 1997 when Justice sat out Game Five of the ALDS against the Boston Red Sox because he had a stiff neck. The Indians lost that game 12-8, and many felt that if Justice was in the lineup they could have won. But Justice stated that when he took himself out of the lineup, it wasn’t because he didn’t want to play, but because he felt he would be more of a detriment than a help. Justice played in the Majors for fourteen seasons, in that time Justice reached the playoffs ten times and the World Series six times (1991, 1992, 1995, 1997, 2000, and 2001). David Justice made his Major League debut in May playing for the last-place Atlanta Braves. 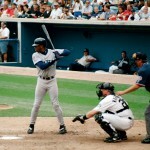 Justice went on an offensive tear during the second half of the 1990 season, finishing with 28 home runs and winning the NL Rookie of the Year Award. Justice finished with 87 RBI’s despite being injured for part of the season, and he played in his first World Series. 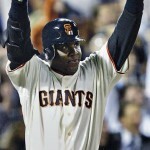 He hit 40 home runs and 120 RBI’s with 78 walks, finishing third in MVP voting behind Barry Bonds and Lenny Dykstra. Justice had a batting average of .313, on-base percentage of .427 and a slugging percentage of .531 when the strike ended play in 1994. 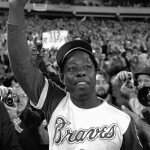 Justice helped the Braves win the 1995 World Series against the Cleveland Indians with a crucial home run in Game 6 to provide the only run in 1-0 game that clinched the championship. 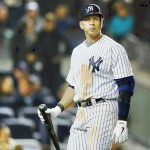 In May, a swing and miss in a game against the Pittsburgh Pirates caused a season-ending shoulder injury. Which was also Justice’s last at-bat as a Brave.